I'm going to out on a limb here and say that February is one of my favorite months. 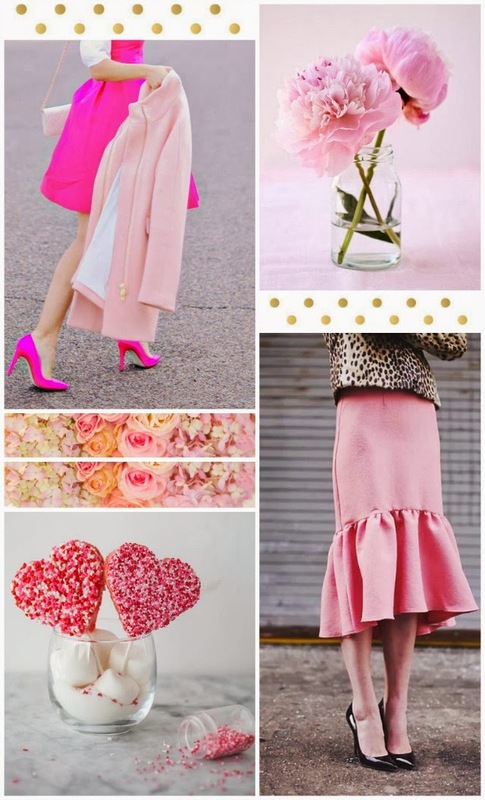 I just love Valentine's Day and when I think February I think of friendships, sweets, love and pink. Soooo basically all of my favorite things. Although I'm already a few days late, a mood board of my February inspirations still felt appropriate for today. Maybe I'll be able to actually post a mood board for March on the 1st of the month. Don't hold your breath though....I can't be on time to save my life. I'm literally always late. Ask Aaron. Or anyone that knows me and has tried to have brunch with me. The clothes, I LOVE. February is pretty cool! oh my goodness. you are an absolute doll and i love your blog design. so sleek, organized, and feminine! i saw you on erin's blog as a sponsor. i am too! showing some sponsor love! new reader! I love Valentines Day and so glad I found your blog!!! !